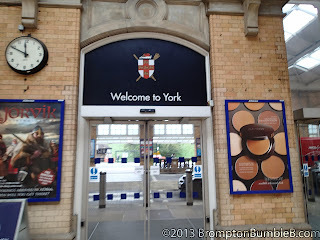 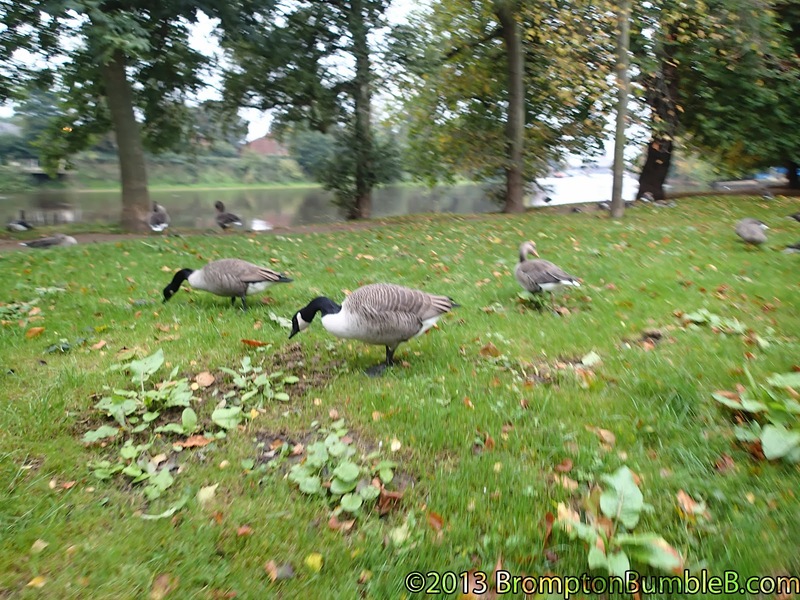 Yesterday we went to York for the first time. 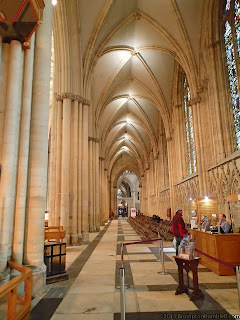 We haven't been to York before and it maybe the furtherest North we have ever been together. 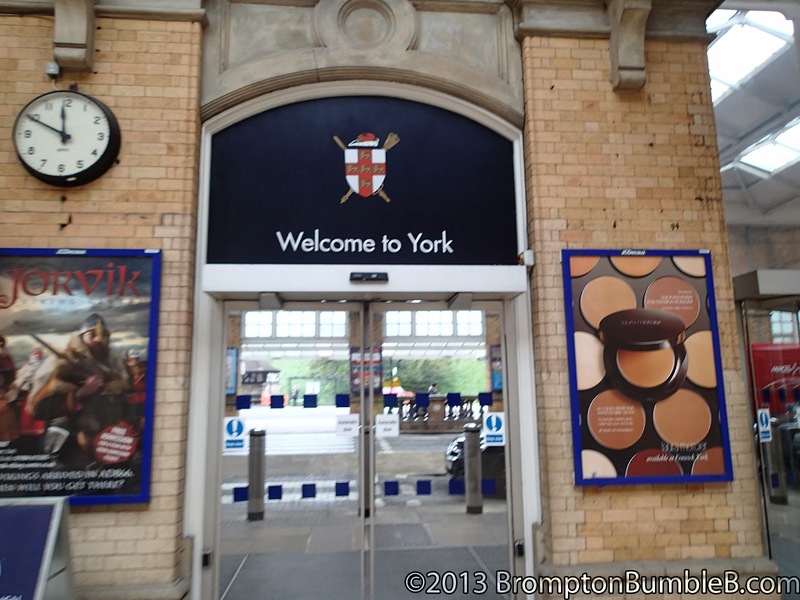 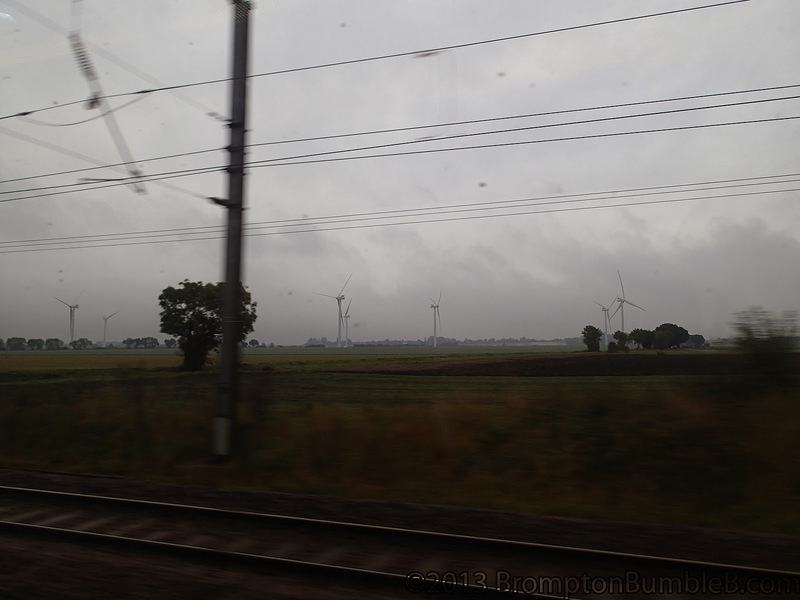 We was going up by train with Ann & David P from Kings Cross & meeting a few others from the LBC that are from "up north" Checking the weather for York it was saying it would rain in the late afternoon but the temperature wouldn't be too bad. 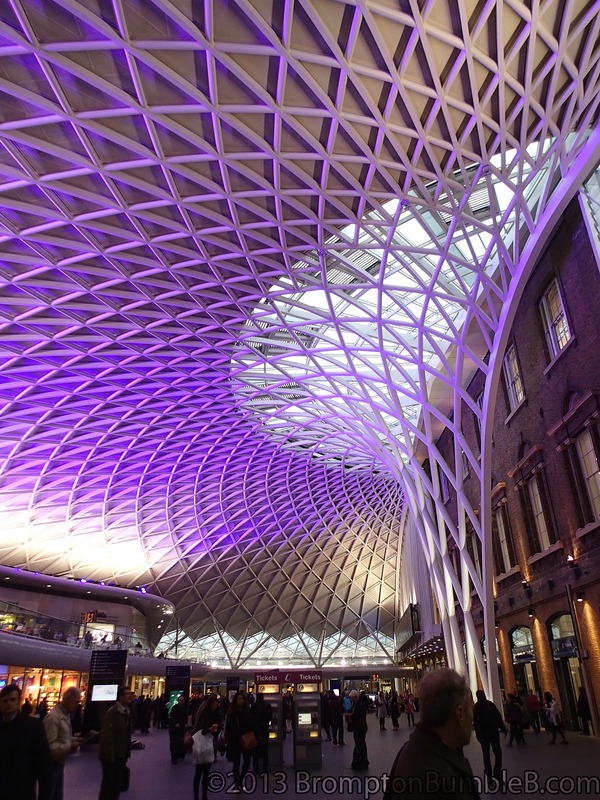 Arriving at Kings Cross a little early I took the chance to take a shot of the great roof of the station. 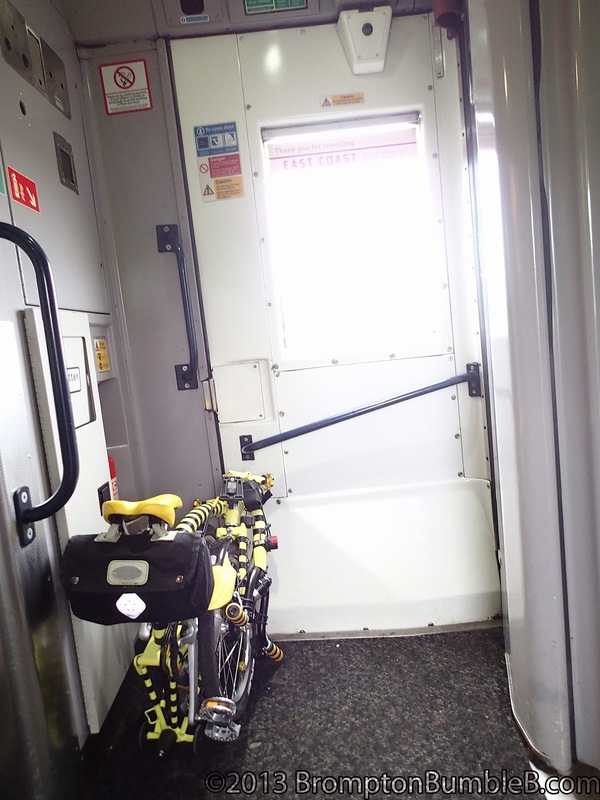 The train wasn't all that full as its mid week so was able to spread out abit. 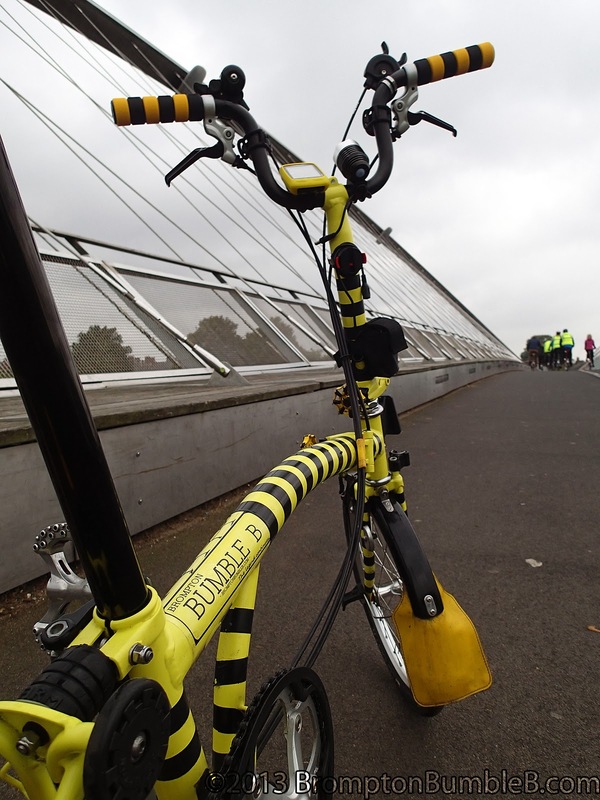 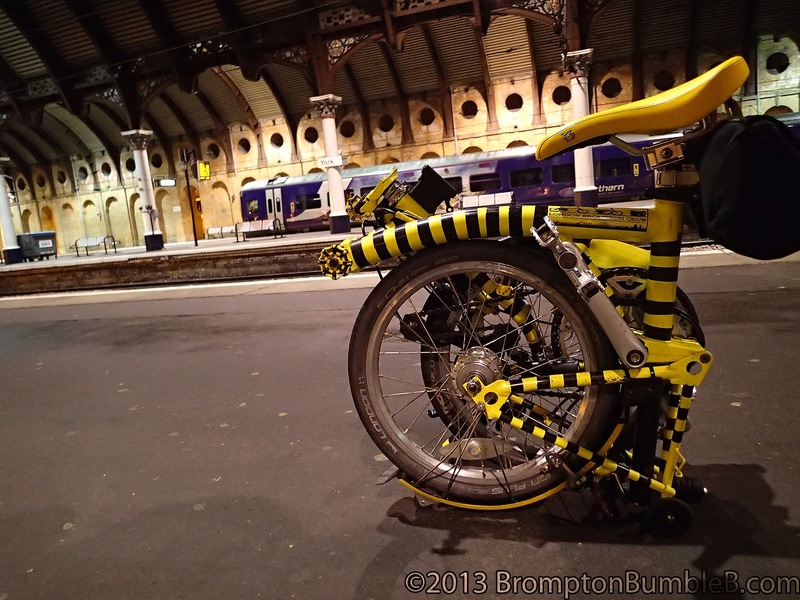 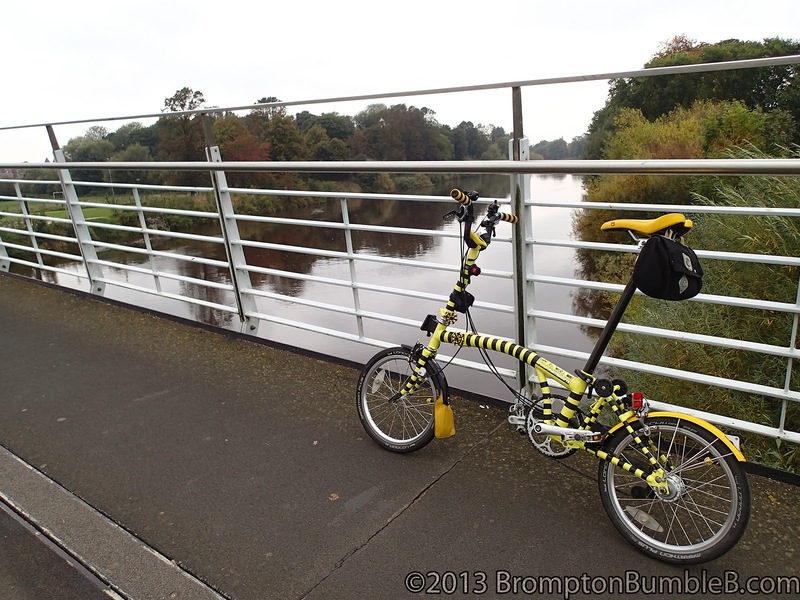 After 2hrs 30mins Bumble B was getting a little cabin fever and wanted out. 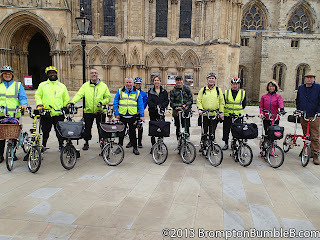 Having arrived at York Station we met up with the rest of the LBC gang. Alan & Janet K, Alan B, Phil A, Debbie M, Ian J. Introductions and then we started to head out of the station. Across the Lendal Bridge just around the corner we came up to York Minster Church & had to have a little photoshoot of the gang. 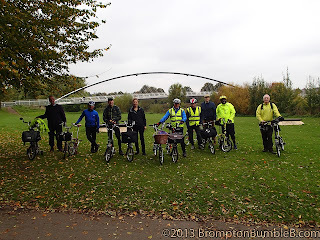 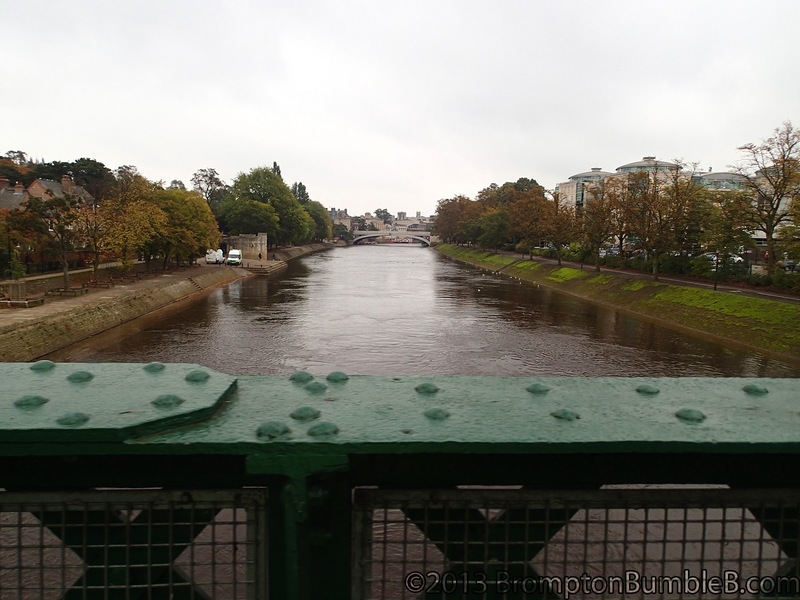 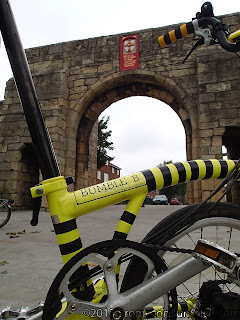 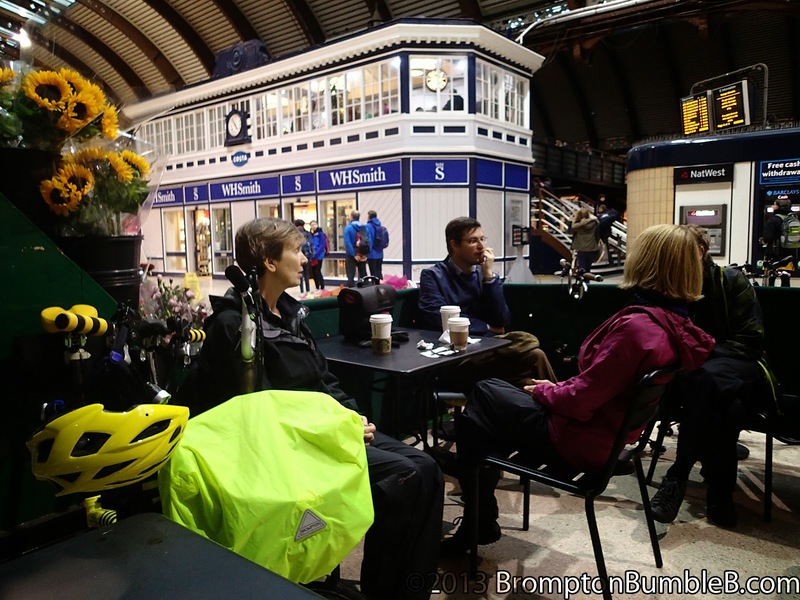 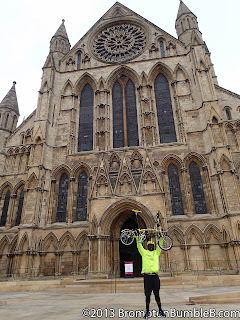 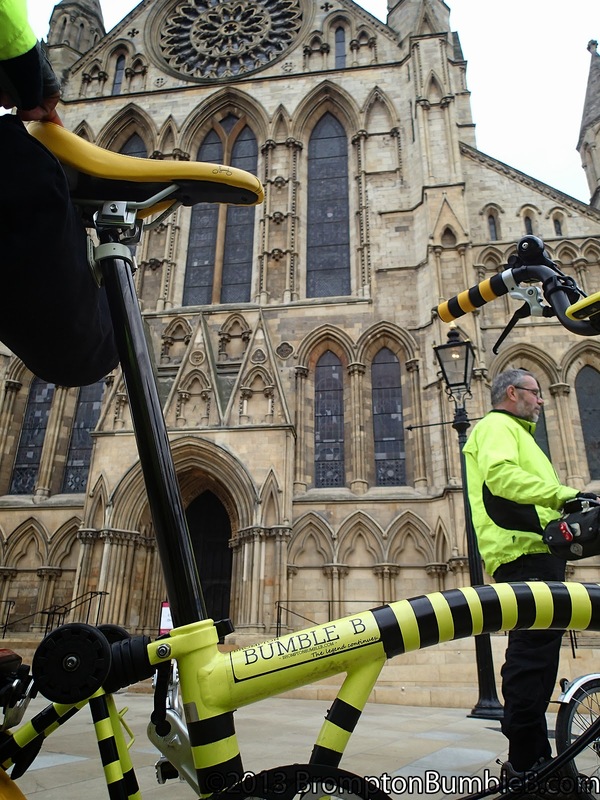 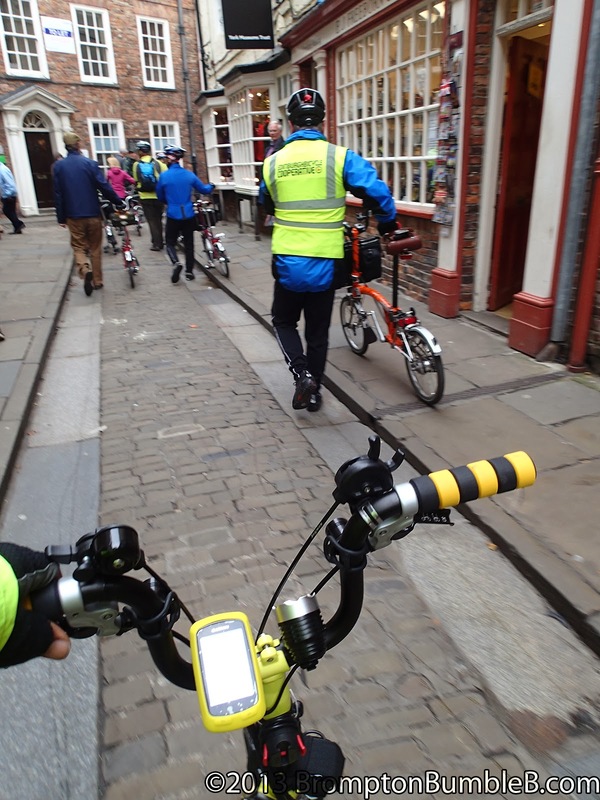 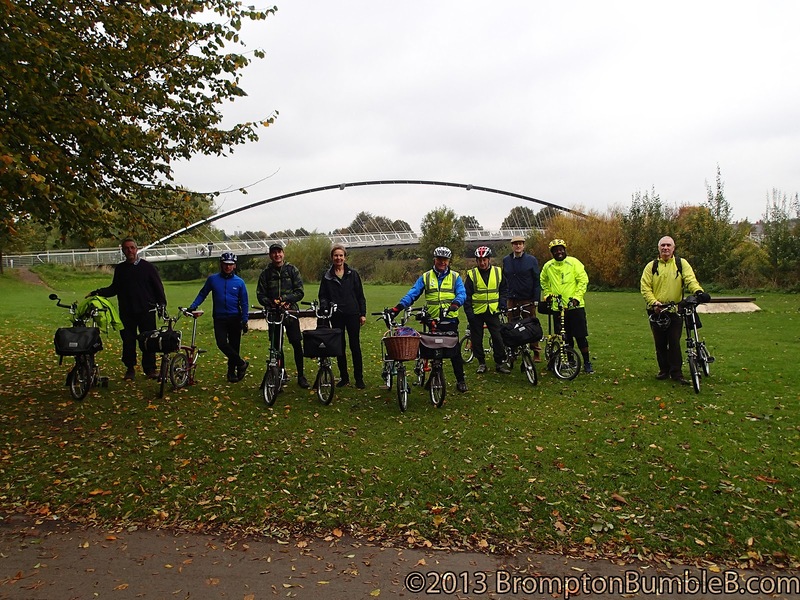 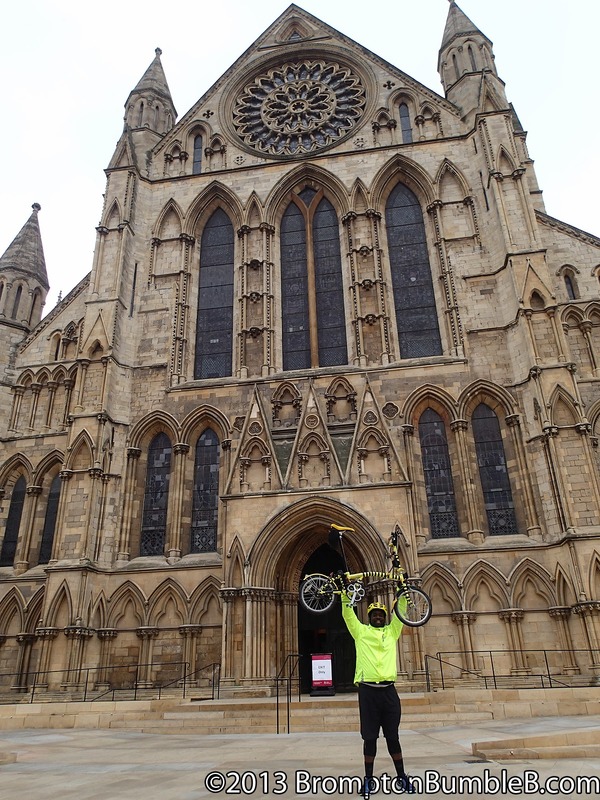 After the York Minster Church we started to head out though the city itself to the Orbital cycle route. 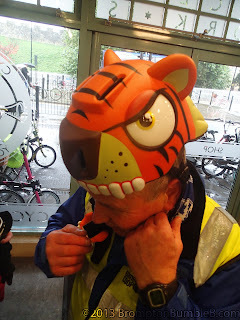 The forecast rain started to fall and everyone got into their waterproofs. 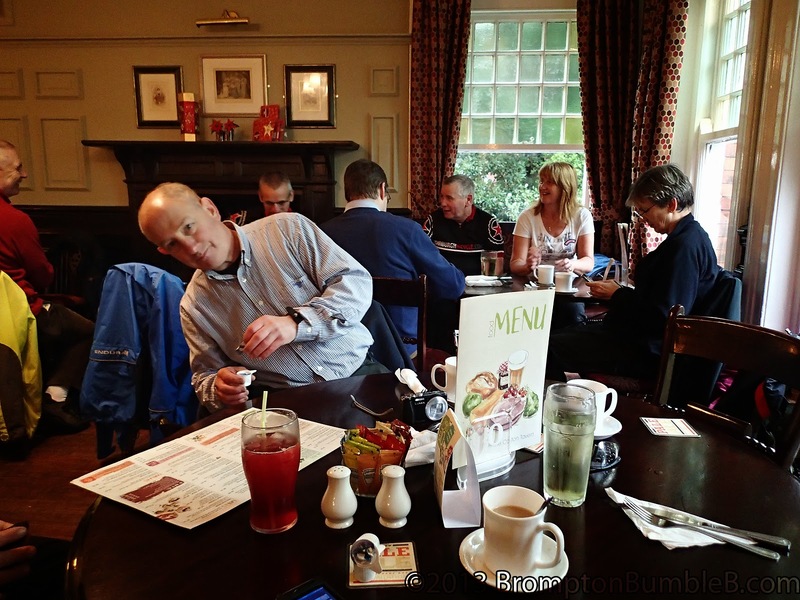 As the rain started to get heavier we managed to find a pub just in the nick of time for abit of a break and lunch. 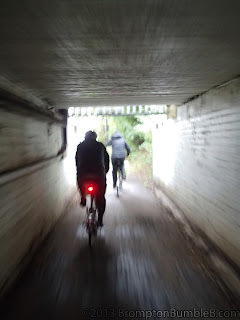 When we left the pub it was still raining so we upped the pace to get around as much of the orbital route as possible to get back to the station. 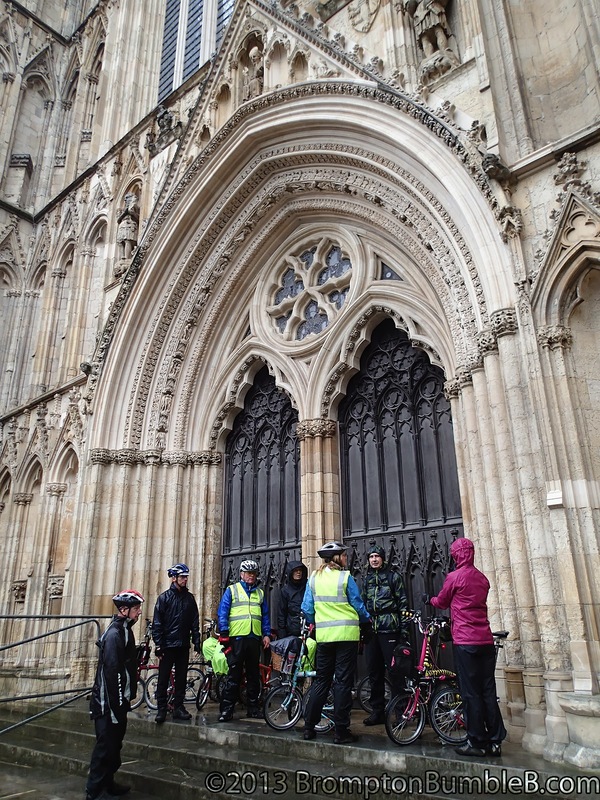 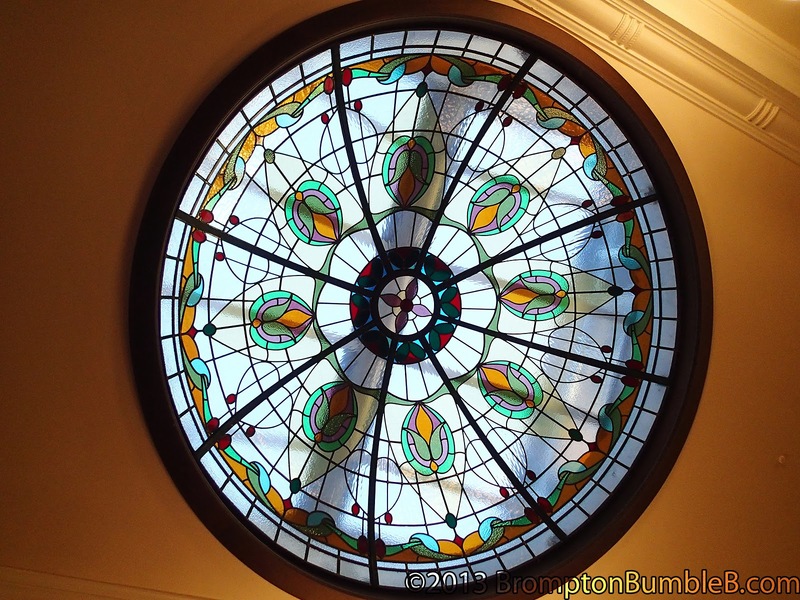 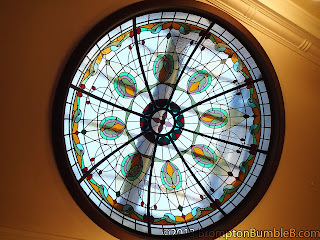 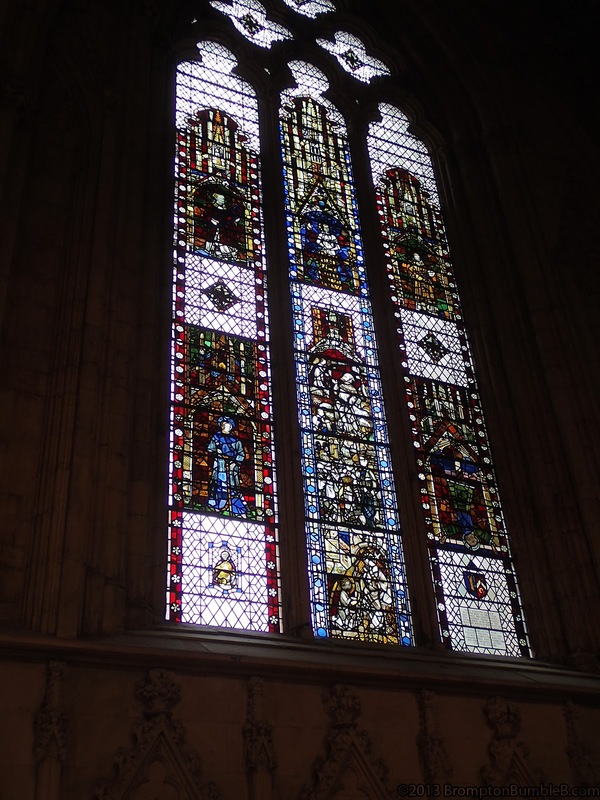 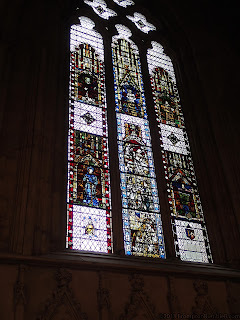 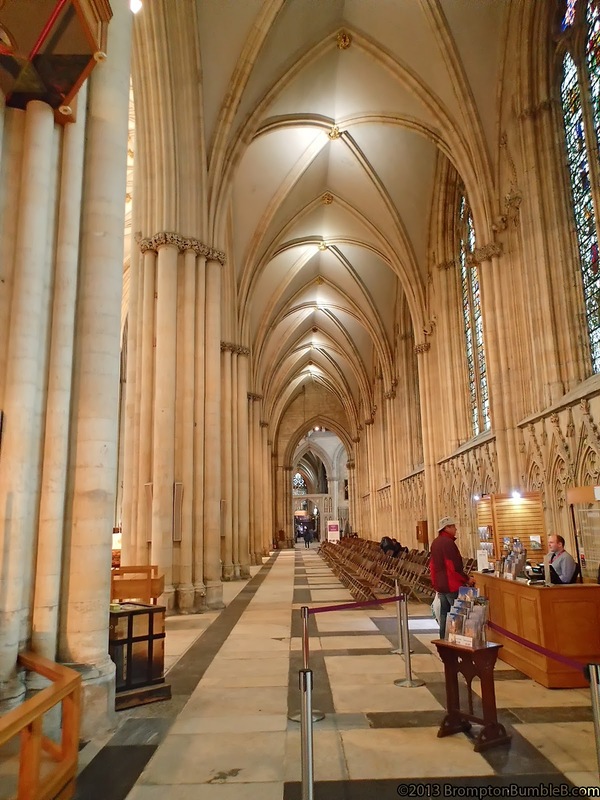 We past the York Minster Church again and some of us decided to go inside to take a few photos. 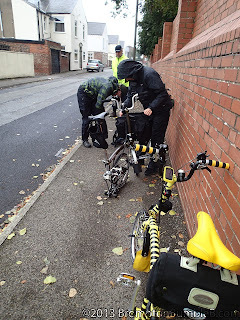 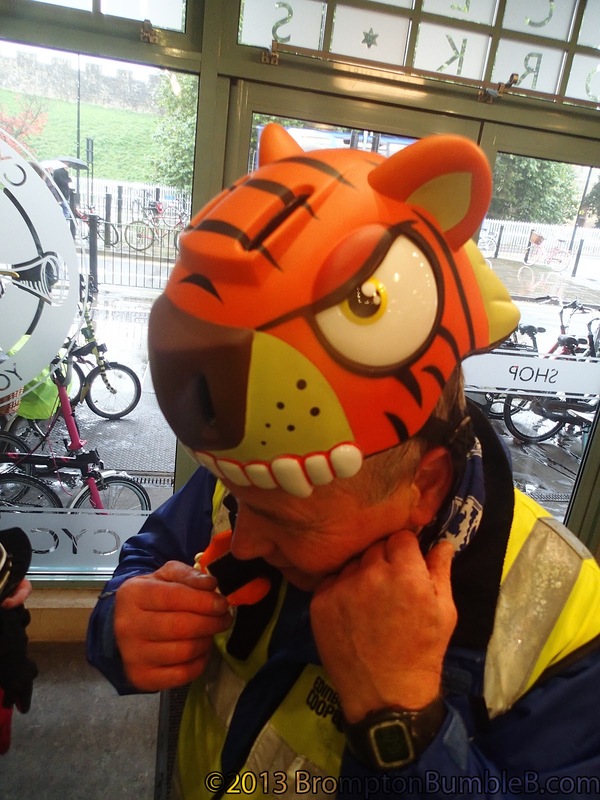 We made it back to the station which a couple of hrs to spare but seeing it was raining we decided to go to the bike shop right next door to see what stuff they had. 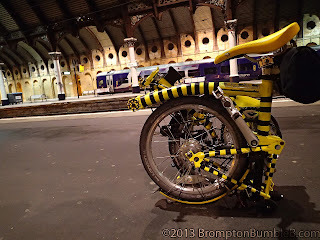 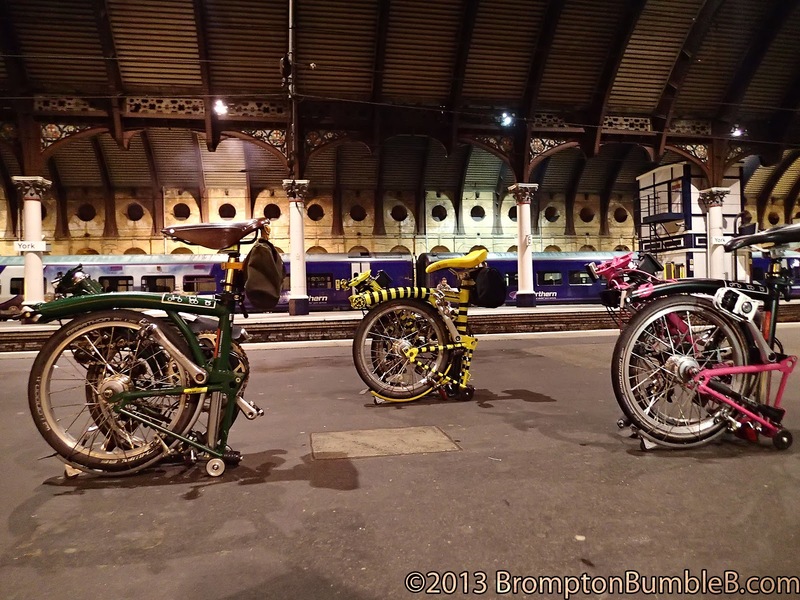 They are a Brompton stockist too so they had a few Bromptons there as well as other bicycles. 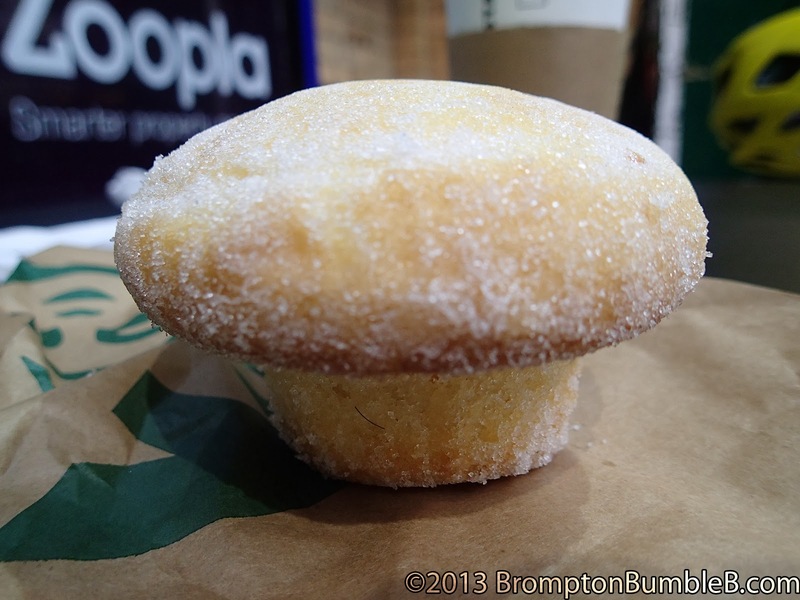 While having coffee outside Starbucks I saw they had a thing called a "Duffin", supposed to be a muffin and doughnut in one. Me, Ann & David P had come down by train but everyone else had drove. 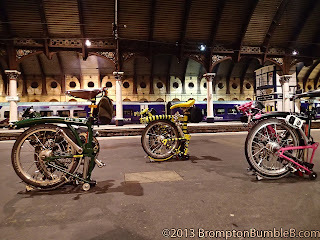 We said our goodbyes as the London trio had to hang about the station waiting for our train back to London. 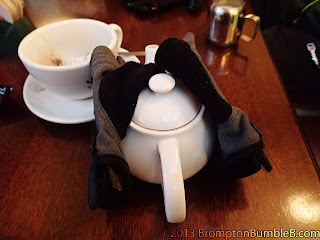 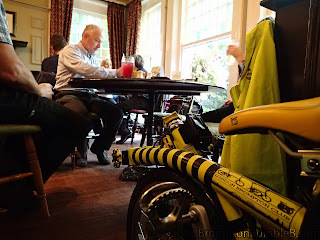 We was going to go on a short ride around the station to kill time but then the rain started to come down hard again so we stayed in the warm station pub. Don't remember much of the train home as I was tired and napping for the most part, nice warm train kinda does that after a nice ride. 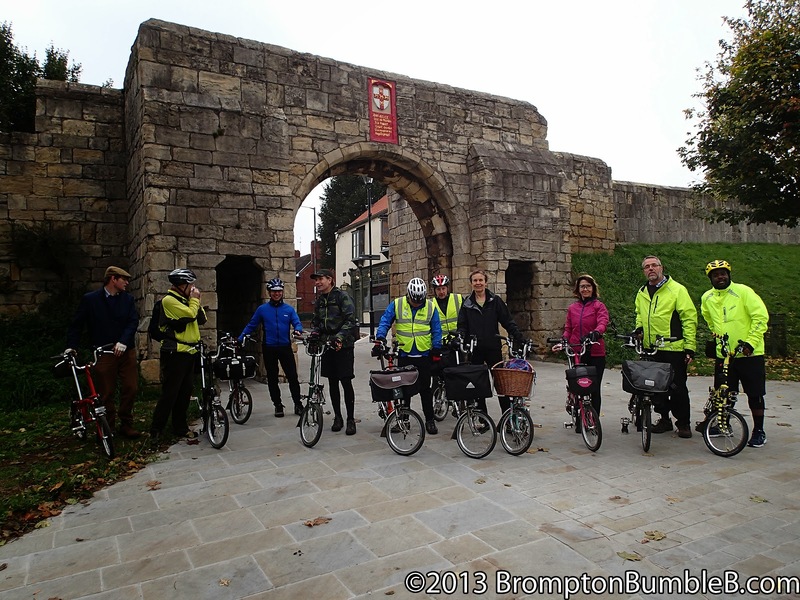 Another good ride with the LBC will have to come up to York again in summer I think to get a really good look at the city and all the old buildings and land marks.